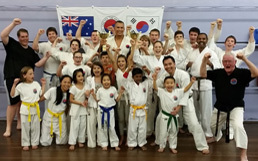 United Taekwondo is not just another martial arts school or exercise studio. While our classes include all the dynamic and traditional techniques you expect from a martial art, together with practical self defence skills and fitness training, we offer much more than that. 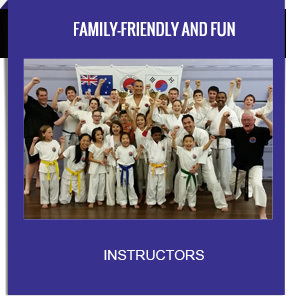 Our aim is to help our students enjoy learning the Art of Taekwondo in a safe environment and develop confidence which we believe is the key to achieving in all areas of life. 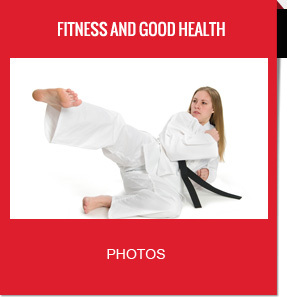 Taekwondo also offers many physical benefits such as increased fitness and flexibility. Our training sessions are open to everyone, from individuals to families to come and watch and get a better understanding of what we do. We also encourage people to trial us free of charge and obligation. Whether you want to get in shape or achieve other personal goals, we provide the experience, expertise and a friendly, supportive environment to help realise your goals. Who can join United Taekwondo? Anyone that has the enthusiasm to learn United Taekwondo is welcome to join. Ages range from 5 years to over 50s. The respect, discipline, self-confidence, hand-eye co-ordination and healthy lifestyle that United Taekwondo training promotes, becomes a valuable asset to any student. What can I get out of United Taekwondo? What happens during United Taekwondo training? Are there any tests or examinations? Gradings are held four times a year. A grading is where a student applies for promotion and participates in an examination in front of the Master Examiner. Each student should apply for grading with a recommendation by their Instructor. There is no pressure for students to grade, however all students are encouraged to apply for gradings when they think they are ready. What do I need to know for my first night? Wear something comfortable that you can exercise in such as tracksuit pants/shorts and t-shirt. Students train in bare feet. Bring a water bottle (you should have drunk at least 2 glasses of water during the day of training). The first training session is complimentary and obligation free. 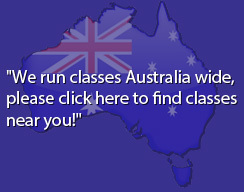 Talk to the class instructor as they will be keen to meet you and find out more about your expectations and experience. If you have any other questions please contact your nearest Branch Instructor or send us an enquiry through our Contact Us page.